This Westinghouse Lighting Canopy Ball is designed for use with canopies mounted on cathedral ceilings. It enables you to hang a fan at an angle. Use it to replace worn canopy balls, or when you want to relocate your fan to a sloped ceiling. 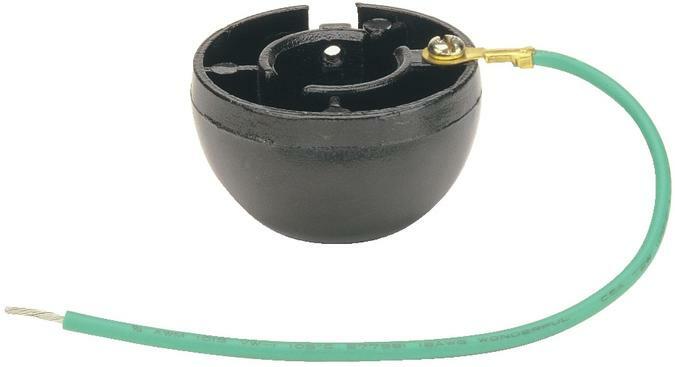 It includes a green grounding wire for safety. Westinghouse Lighting is a global brand with a simple philosophy: make life easier for everyone who buys its products. The company offers ceiling fans, lighting fixtures, lighting hardware, ceiling fan accessories, and light bulbs for both consumer and commercial applications. Westinghouse Lighting products are designed for exceptional quality, reliability, and functionality.